Nebuchadnezzar never did it, nor could Hammurabi crack the code. Among the legends of antiquity, only King Tut crossed over from divine ruler to American idol. Now he’s back, in an update of the landmark ’70s King Tut show, opening at the Los Angeles County Museum of Art. When last we saw Tut, it was during the age of blockbusters, and the exhibit drew Star Wars-size crowds. But that wasn’t the first instance of Tutmania. After his tomb (or “condo made of stone-a,” as Steve Martin put it) was excavated in 1922, Tut became all the rage. “Since they unearthed poor old King Tut, everything from a dog collar to a ballroom gown is patterned after the apparel of the ancient ruler,” claimed one 1923 article. L.A. is the only stop in the Western U.S. for this showcase of 130 objects, including Tut’s crown and his golden coffin. Three thousand years later, the Boy King still has bling. Jun 16–Nov 15; from $25, advance purchase recommended ( www.kingtut.org or 877/888-8587 for tickets). 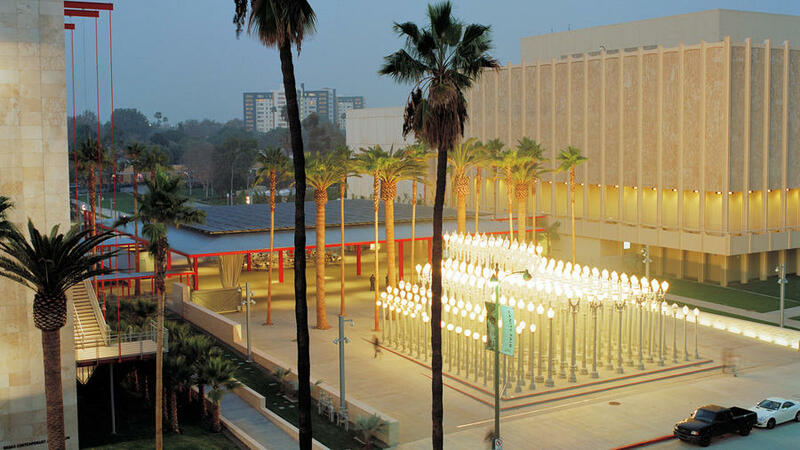 L.A. County Museum of Art (5905 Wilshire Blvd. ; 323/857-6000).